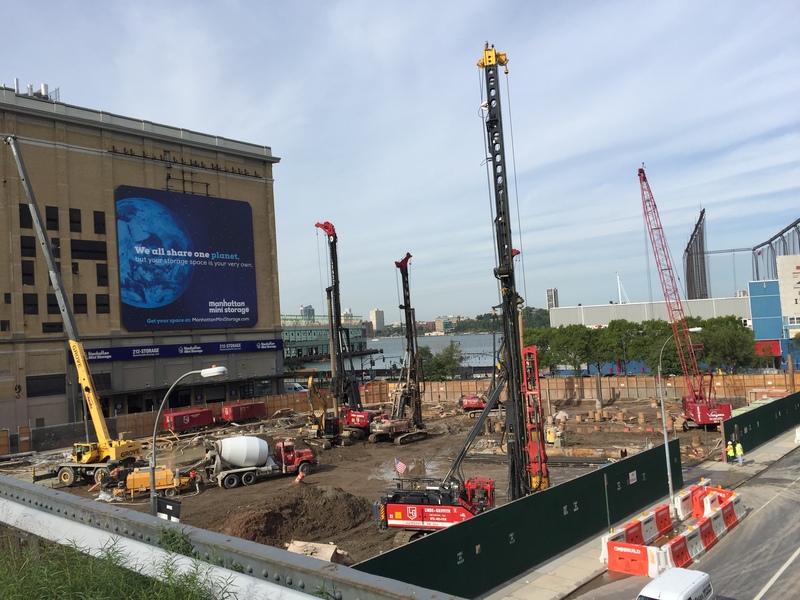 Piling work is now underway on the two-towered, 310-unit mixed-use complex under development at 76 Eleventh Avenue, located between West 17th and 18th streets in southern Chelsea. The site can be seen thanks to a photo posted to the YIMBY Forums. The project will consists of 25- and 35-story towers, rising 302 and 402 feet above street level, respectively. A common four-story base will feature 181,893 square feet of commercial space. It will include retail and office space, in addition to the residential amenities. The residential units, located in the towers, will be condominiums, averaging 2,258 square feet apiece. HFZ Capital Group is the developer. 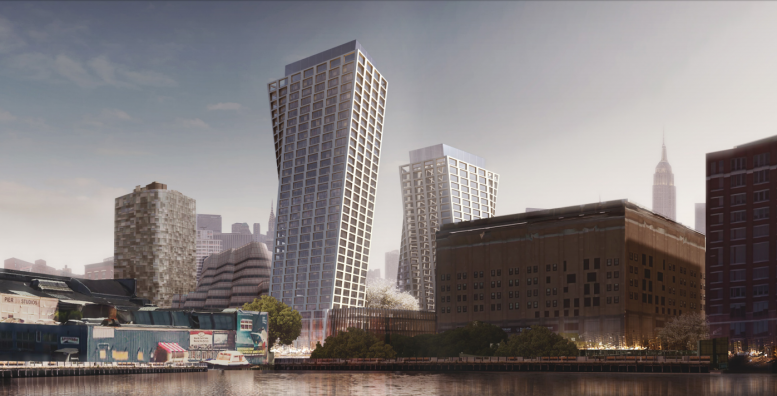 Bjarke Ingels Group is the design architect and Woods Bagot is the executive architect. Completion is expected in 2019. 76 Eleventh Avenue. Photo by Vertical_Gotham via the YIMBY Forums. 4 Comments on "Piling Work Underway For Two-Towered, 310-Unit Mixed-Use Project At 76 Eleventh Avenue, Chelsea"
Machines in amounts at site for 25 and 35-story, economic system under towers that managed by BIG.